I recently watched a documentary on YouTube called “Enron: The Smartest Guys in the Room”. This movie discusses how the company Enron was able to fool the world into thinking it was a profitable billion dollar company, when it was mainly just smoke and mirrors. One of the common questions that people kept on asking throughout the film was “Why was it that no one asked? How could it be that so many people were silent?”. The signs of fraud and irregularities were there well before they were made public. So why were people both inside of the company as well as those outside of the company so quiet? They were quiet because when the results are desirable, we don’t want to ask questions. Those that asked questions were “encouraged” to remain silent. One questioner was fired from his position with an investing firm, and the firm immediately obtained a favorable contract with Enron after his firing. When people or companies are providing us with what we want, why should we risk it by asking questions? Is it advisable to bite the hand that feeds us? In legal terms this is referred to as willful blindness, and the US Supreme Court has consistently ruled that willful blindness is not valid defense. There are too many stories of parents, teachers and communities being willfully blind to child molesters. Former Penn State player and coach and current convicted child molester Jerry Sandusky ran an organization called The Second Mile. It was for underprivileged youth, providing help for at-risk children and support for their parents in Pennsylvania. The signs were there, but no one wanted to think that the person helping all these underprivileged people was abusing them. While the Sandusky case was more high profile than other cases, it was by no means unique. Many child molesters utilize this modus operandi. They put themselves into a giving position, taking a role which would leave a major void if they were removed from that position. They try to be the missing parent, the missing sibling, the missing financial provider, all in an attempt to create willful blindness. Rather than seeing the truth and acting accordingly, people are more afraid of potentially losing the benefits that this molester is currently providing. 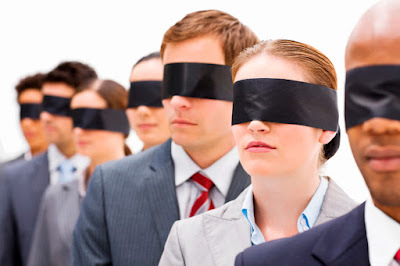 People are also willfully blind because the ramifications of the truth scare them. We as parents and community members need to stop being willfully blind. We need to realize that sometimes things ARE too good to be true when it comes to others helping our children. Most importantly, never should we ever feel that protecting our children from a molester is too big of a sacrifice. Willfully blind doesn’t work in the short term, and it definitely doesn’t work in the long term. Learn how to ask the tough questions and ask them. Be ready to act appropriately if concerns of abuse are validated.